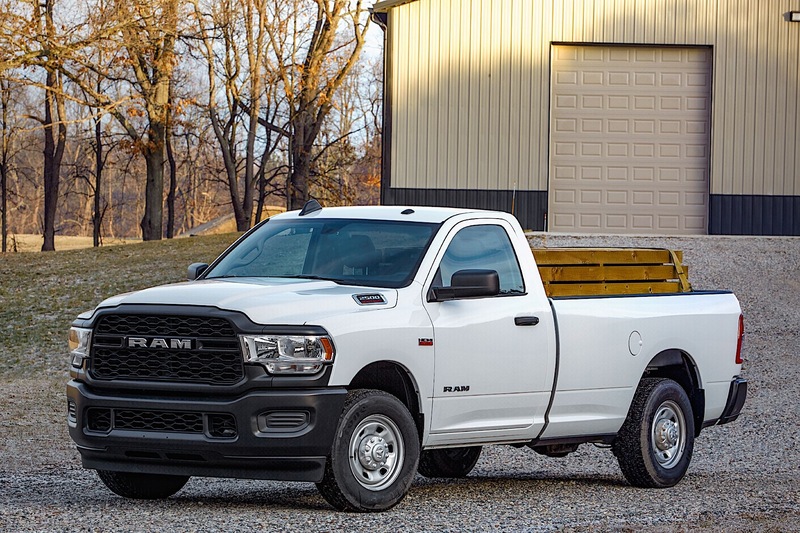 When Ram debuted their all-new Heavy Duty pickups at the 2019 North American International Auto Show in Detroit earlier this year, they skipped two key trims: the Laramie Longhorn that Texans love and the Tradesman trim work crews rely on. The former took a vow at the Houston Auto Show shortly after Detroit, but the latter was finally revealed at the NTEA The Work Truck Show in Indianapolis on Wednesday. The Tradesman has all the performance and capability of the other trucks but wrapped in a package that appeals to value-conscious and fleet buyers. With the high-output Cummins diesel rated at 1,000 pound-feet of torque in a regular cab 3500 dually, the Tradesman will tow an impressive 35,100 pounds. 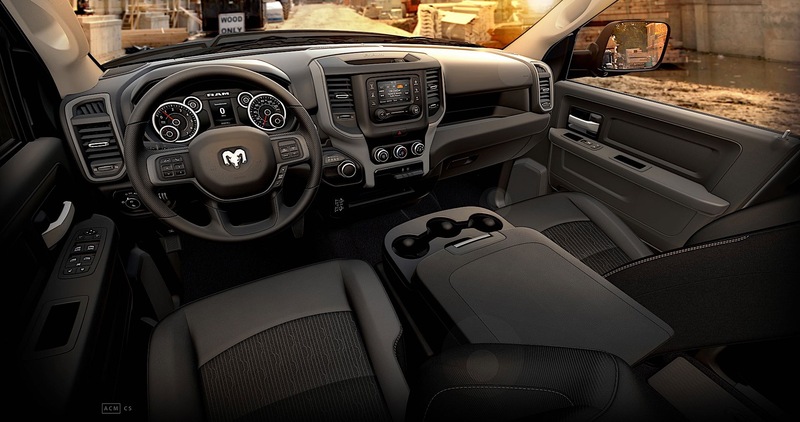 Though it's marketed as a basic trim with manual windows and mirrors on some versions, the Tradesman can be optioned to include optional safety features like autonomous emergency braking and adaptive cruise control. Tradesmen models can even be equipped with certain luxury amenities like LED headlights and the 12-inch Uconnect infotainment screen, which although cool-looking it proved to be a bit confusing to operate to our very own Jerry Perez during a recent test. In addition to the Ram 2500 and 3500 Heavy Duty Tradesman trucks, Ram also offers this and other higher-end trims on the 3500, 4500 and 5500 chassis cabs. The premium model debuted at the Chicago Auto Show earlier this year, which allows you to tow to your heart's content without sacrificing comfort. Lastly, all Heavy Duty variants are available with a 6.4-liter gasoline V-8, a standard-output Cummins diesel rated at 850 horsepower, plus the aforementioned 1,000 lb-ft. high-output Cummins inline-six diesel. 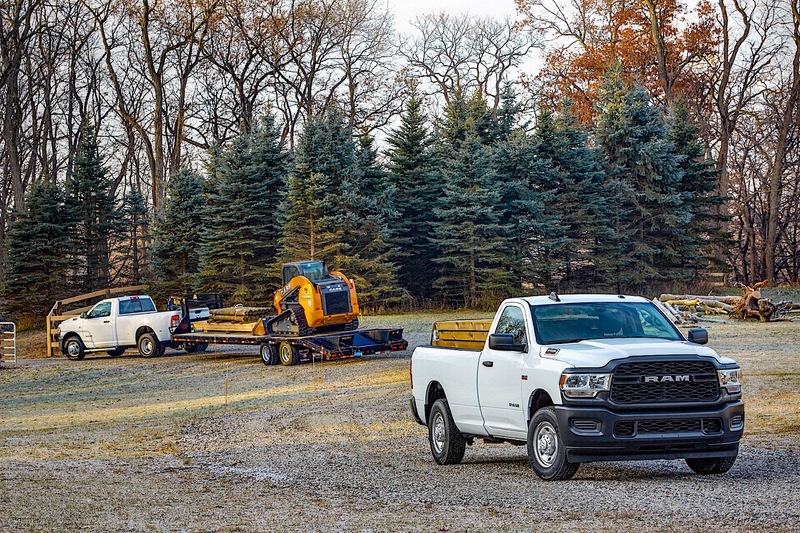 The Ram HD Tradesman pickup trucks should be hitting dealerships shortly and start at $33,395 plus destination, while the chassis cab models will be available in the Spring.